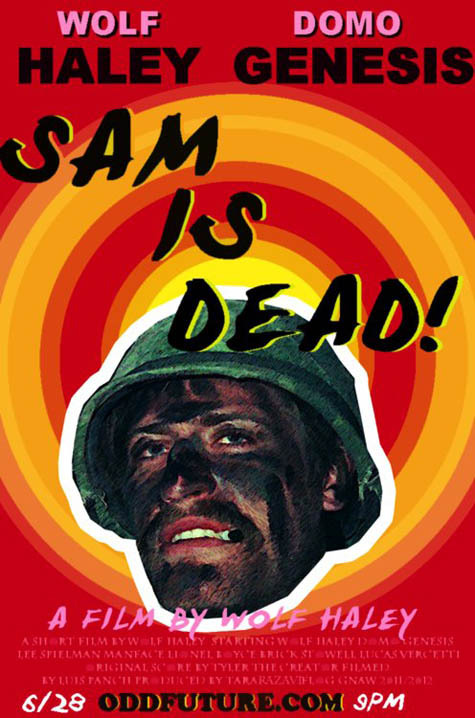 Letters From A Tapehead: Odd Future: "Sam Is Dead"
Odd Future: "Sam Is Dead"
Existential Vietnam film meets 70s exploitation cinema tactics meets potty mouth Tyler, The Creator. Info, poster and link provided by Life or Death PR & Management. Directed by Wolf Haley and featuring himself, Domo Genesis and Lee Spielman of Trash Talk, Manface, Lionel "L-Boy" Boyce, Brick Stowell and Lucas Vercetti, the film will feature an original score composed by Tyler, The Creator.